Place chicken meat and taco sauce into a small bowl. Mix to combine. Lay tortillas on a clean work surface. Spread 2 tablespoons refried beans over each tortilla. Top with spinach leaves, chicken, capsicum and 1 tablespoon cheese. Roll up tortilla, tucking in ends, to enclose filling. Heat 1 tablespoon of oil in a large frying pan on medium. 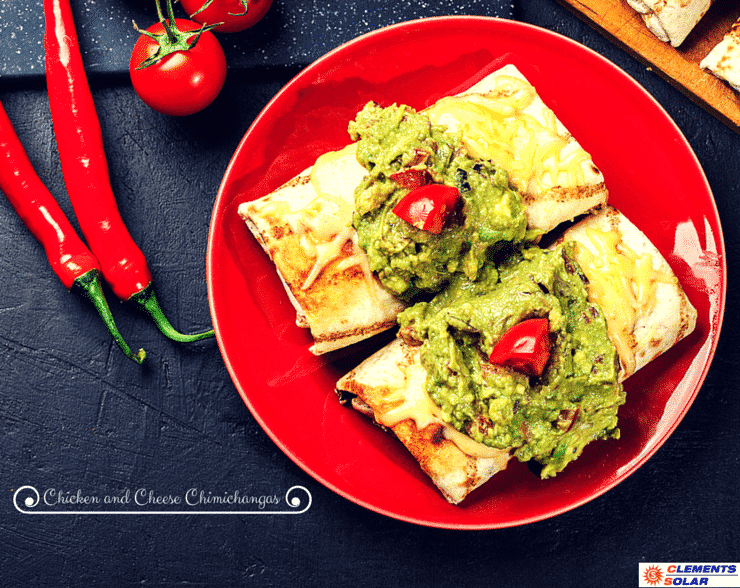 Cook chimichangas, in batches, adding extra oil when needed, for 2-3 mins, turning, until golden all over.